Over the past few months, there have been talks and discussions as to whether this Indian team is the best the country has ever had. But, comparisons are futile especially when they are done between sides’ or cricketers from different eras. One of the major reasons why I say that is while we sit and compare a modern-day great cricketer or a current world-beating side with the past champions, we do that with pure numbers. Seldom, do we take into the account, the different challenges that every era brings with itself? 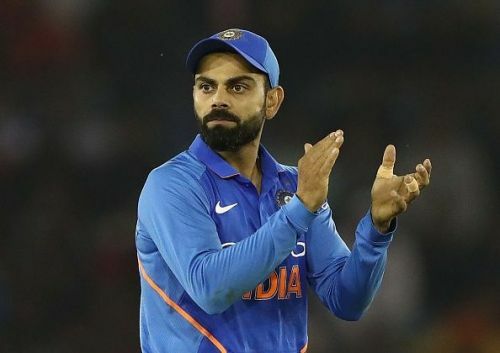 That said, Virat Kohli and his Indian side have achieved some pretty amazing things in the past four years which will make a lot of the past players that have played in the erstwhile Indian sides’ mighty proud. Today, in this article, we will have a look at the top 4 things which India has achieved under Virat Kohli. Sri Lanka may be going through a tough period in International cricket, but as with all home sides, they have been a tough nut to crack especially when Rangana Herath was at his peak. Australia was whitewashed 3-0 in 2016 while the Proteas were completely swept aside in 2018 [2-0]. On either side of the Australian and South African whitewash, stood Virat Kohli and his Indian side. No Indian side had ever won a series on Lankan soil in 23 years and the closest they had come was in 2010 when the series was drawn at 1-1. For Kohli, the series was very crucial as a captain. Six months into his captaincy stint, he was yet to win a Test match. India dominated the first Test at Galle throughout, but a belligerent 169-ball 162 by Dinesh Chandimal and Herath‘s 7-48 on the final day took the game away from the visitors to claim a 63-run victory. 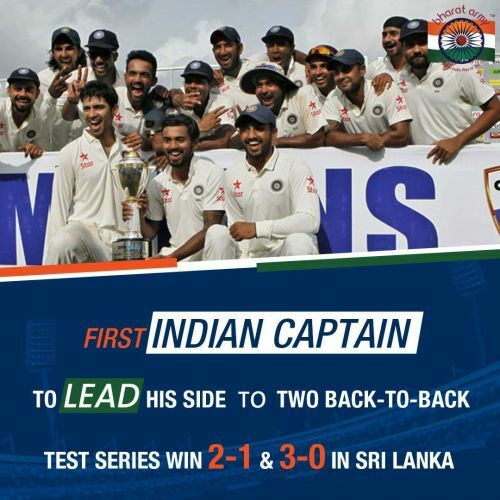 But, the loss at Galle proved to be a fillip for Team India as the Virat Kohli-led side went on to win five successive Tests thereafter, beating the hosts‘ 2-1 in 2015 before whitewashing them [3-0], two years later in 2017. The 2017 tour proved to be pathbreaking for Team India as the Men in Blue extended their dominance across all the three formats to claim a 9-0 [Tests: 3-0, ODIs- 5-0, T20Is- 1-0] victory. Opinion: Should Virat Kohli bat at Number 4?